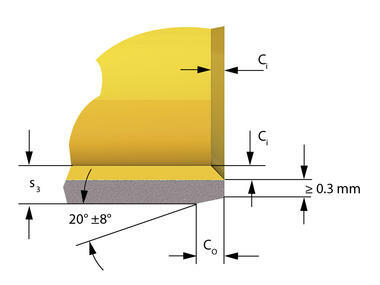 Widening the housing bore is not taken into consideration in the bearing clearance calculation. 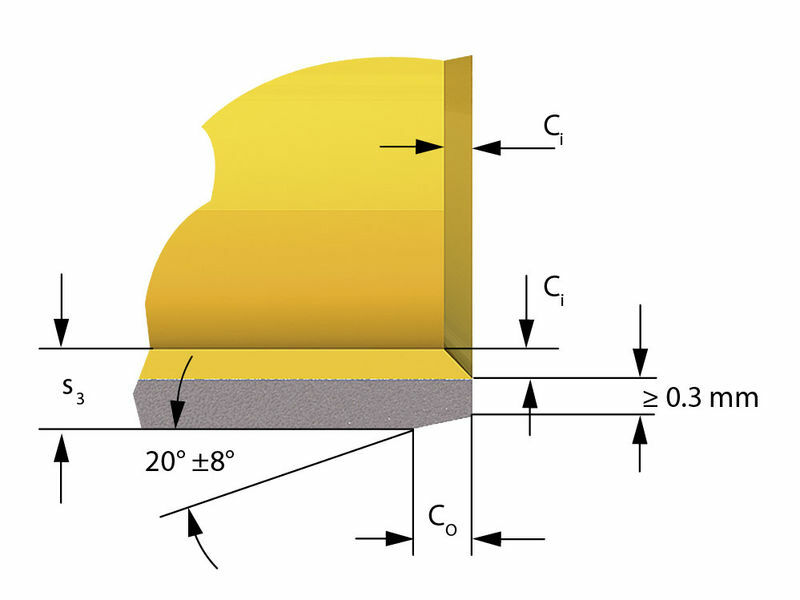 For calculating the press-fit U, the tolerances of the housing bore are stated in Table 1 and the dimensions of the bush outside diameter DO are stated in Table 2. Depending on the housing wall thickness. 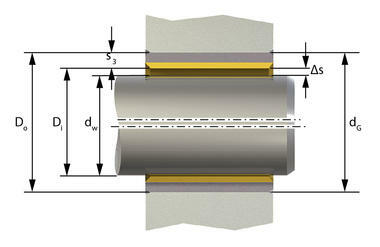 Smaller clearance tolerances require narrower tolerances for the shaft and bore. 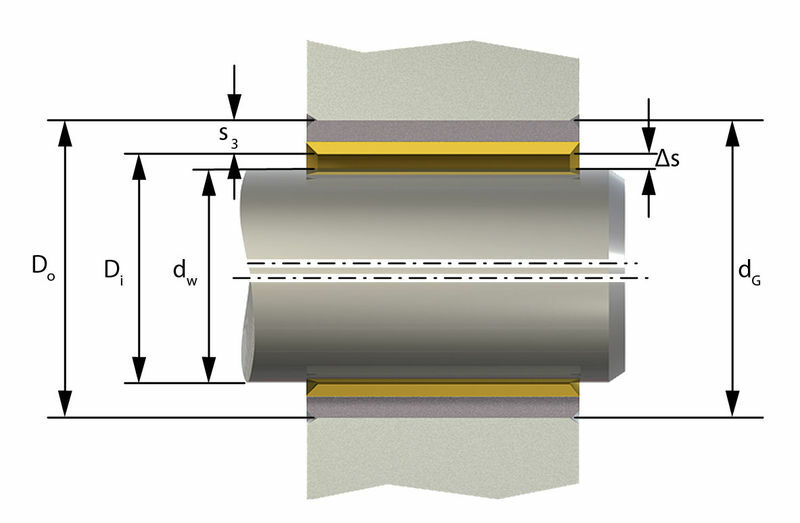 When using shafts with tolerance zone position h, the bearing clearance for 5≤dW<80 (P10, P14, P147) and dW<80 (P 11) must be verified using equations  for Δsmax and  for Δsmin. The housing is under greater strain; the permitted housing tension must not be exceeded. 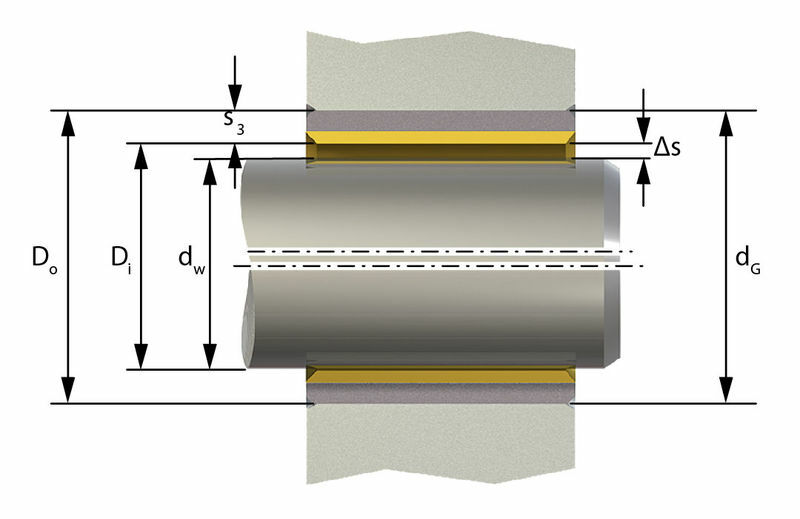 Reduce shaft diameter dW by the same value, in order to retain the same bearing clearance. Reduce shaft diameter dW by the same value, in order to retain the same bearing clearance. The housing is under greater strain at temperatures below 0°C; the permitted housing tension must not be exceeded. The bush and housing are subject to greater strain unless appropriate measures are taken. All content including pictures and diagrams is subject to change. For assignment and replacement, refer to the current catalogues, TecDoc CD or systems based on TecDoc.